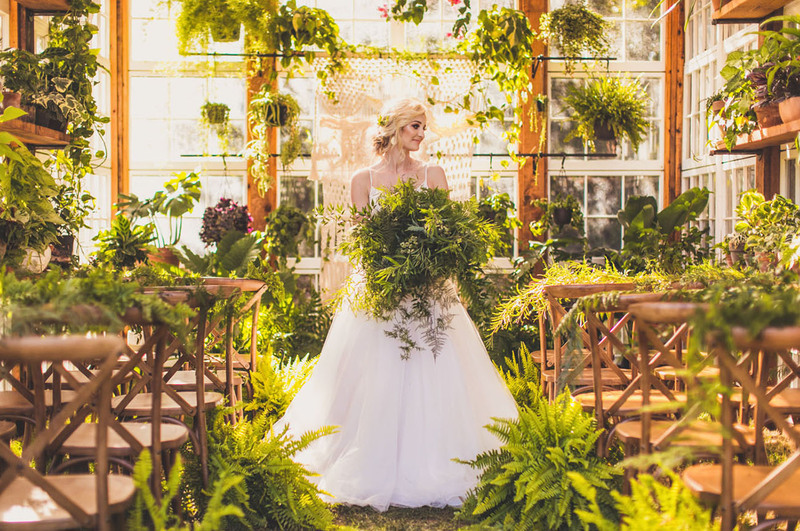 Glamorous + Green: Inspiration to Get Married in a Greenhouse! 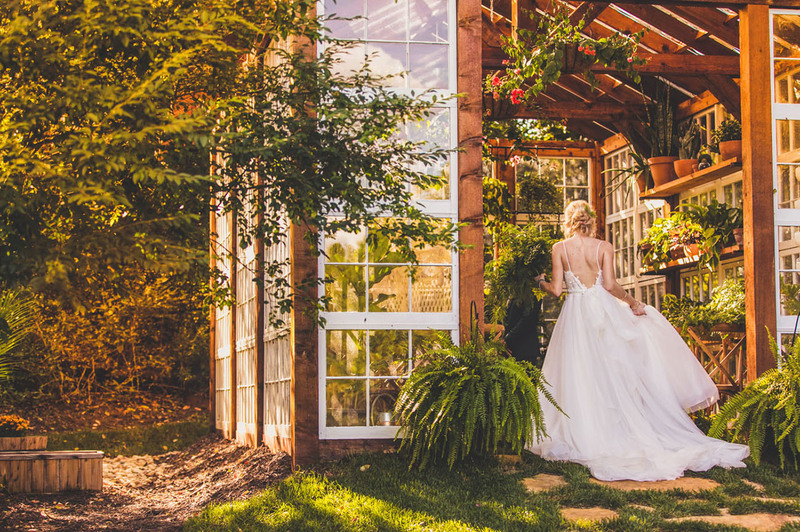 Glamorous gorgeous greenhouses galore! 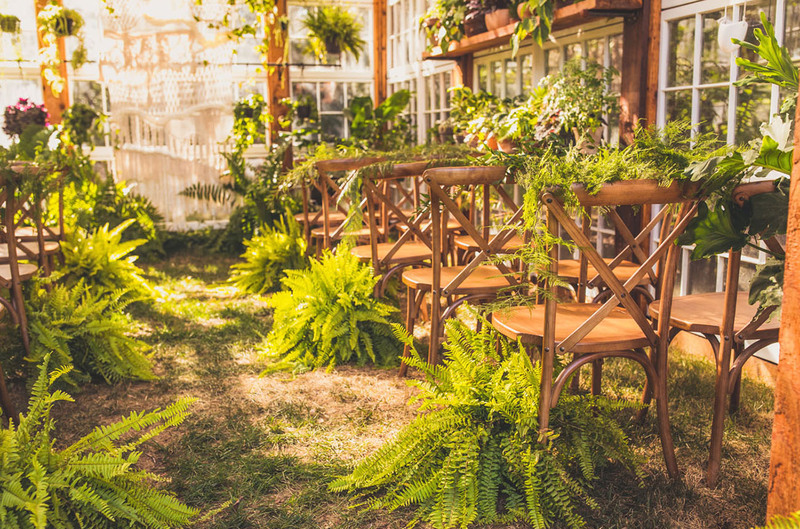 Thinking about doing something a little different…a little greener for your wedding? Perhaps in a greenhouse/conservatory/nursery? 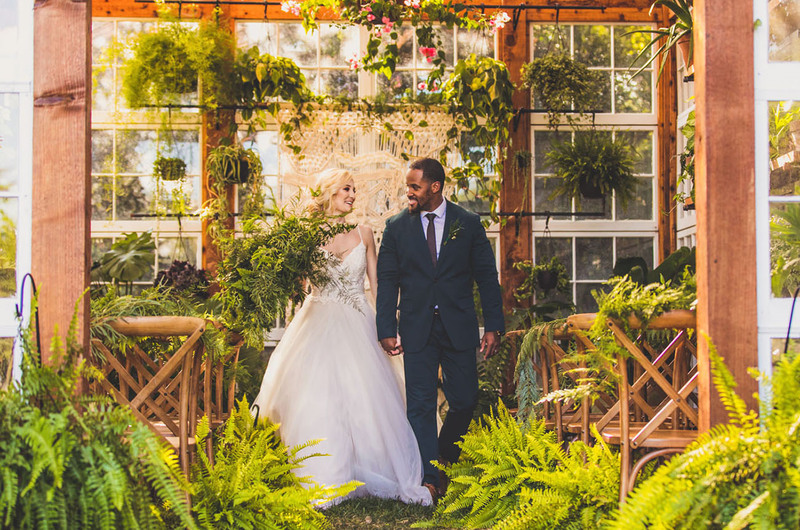 When Megan Vaughan Photography began to envision today’s editorial, she KNEW it just had to take place in a greenhouse (and it just so happens she and her husband built one together). The trick? 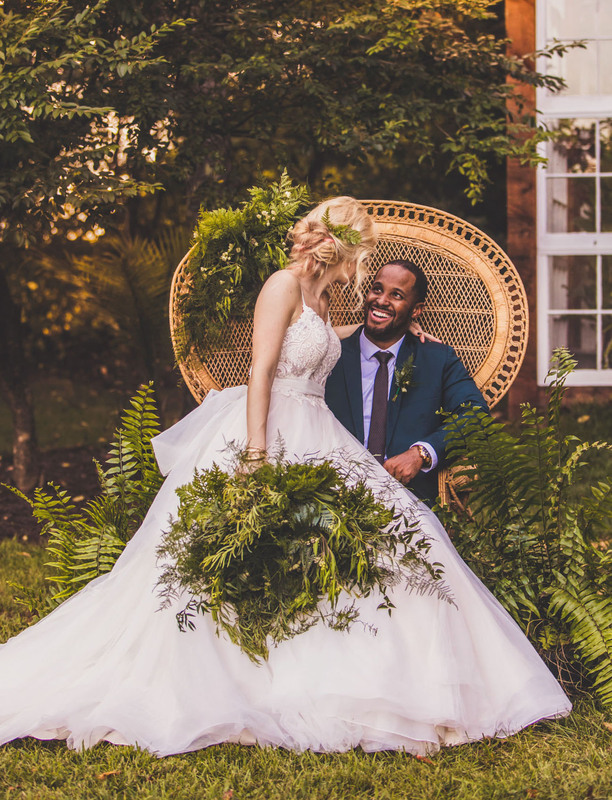 Waiting until the weather was perfect! 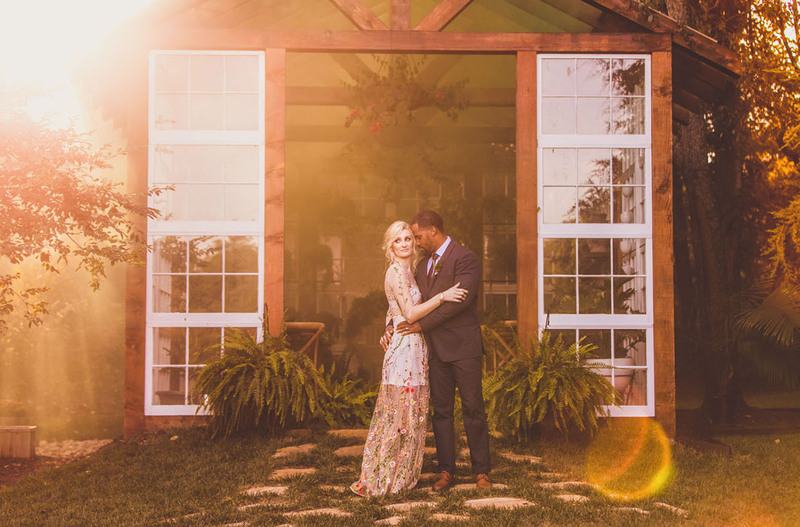 She shares: When we built our greenhouse, the aesthetics behind it were aimed at one day having small weddings and elopements inside, but its main purpose is far more personal. 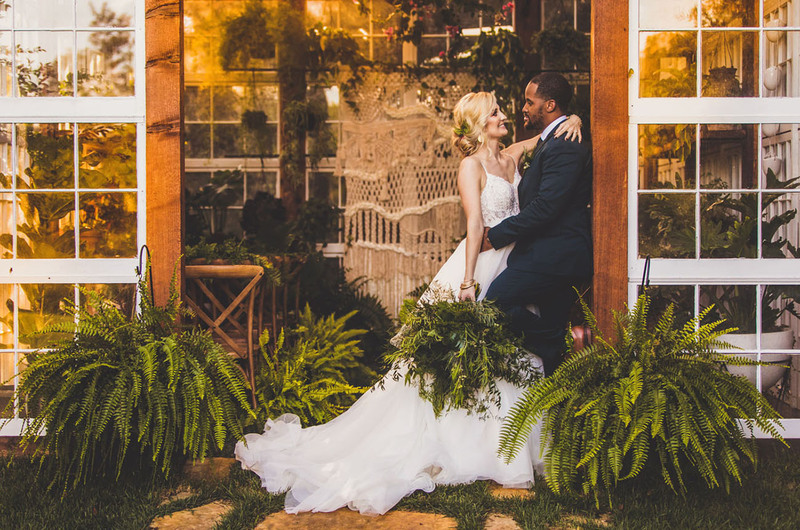 If people craved the type of intimacy a greenhouse could give them for a ceremony, I wanted ours to be an option for them! 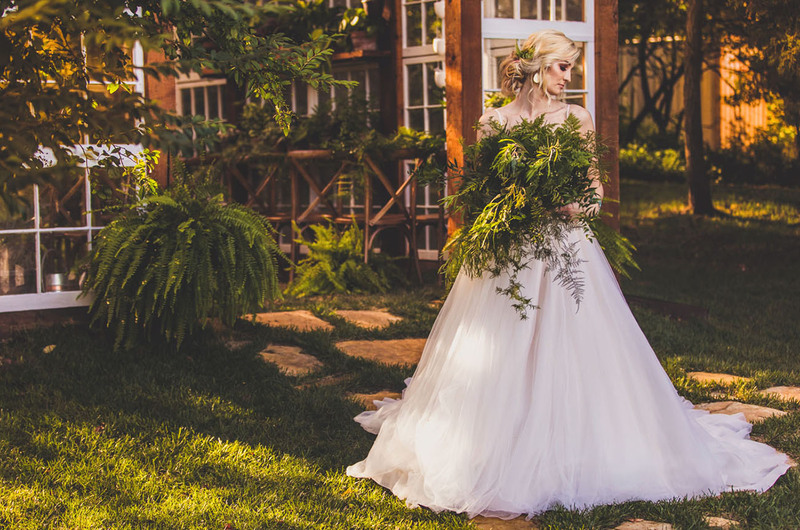 Let’s venture + explore the abundant garden, shall we? 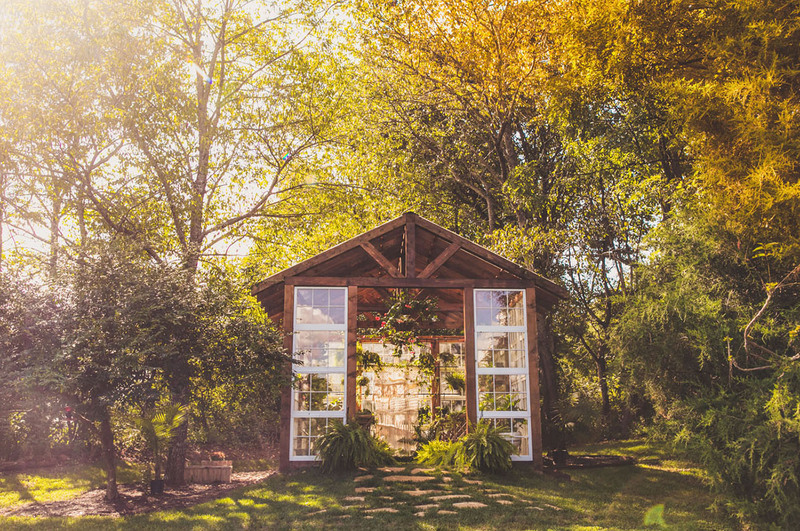 The Vaughn Greenhouse is a private sanctuary built by Mitch + Megan Vaughan in their backyard (SO COOL!). It’s made from cedar beams and refurbished windows. 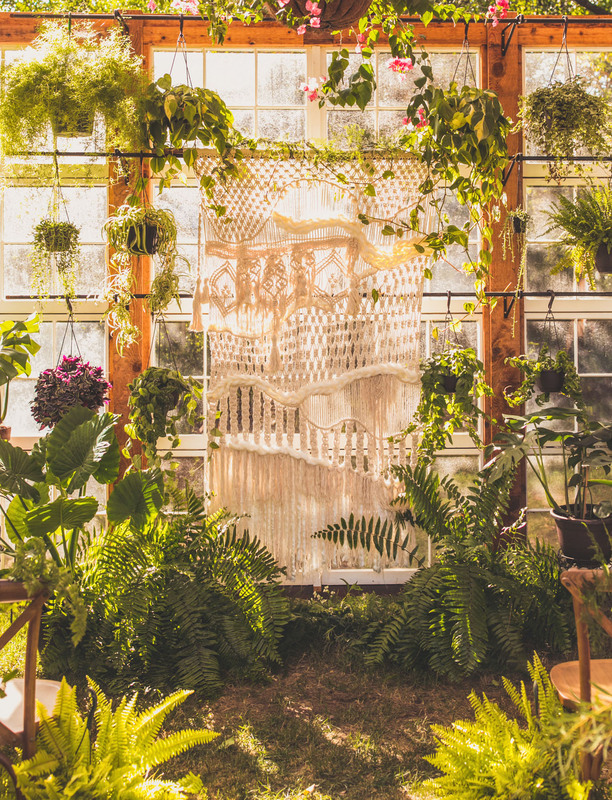 Who else is inspired…and wants a greenhouse in their backyard? 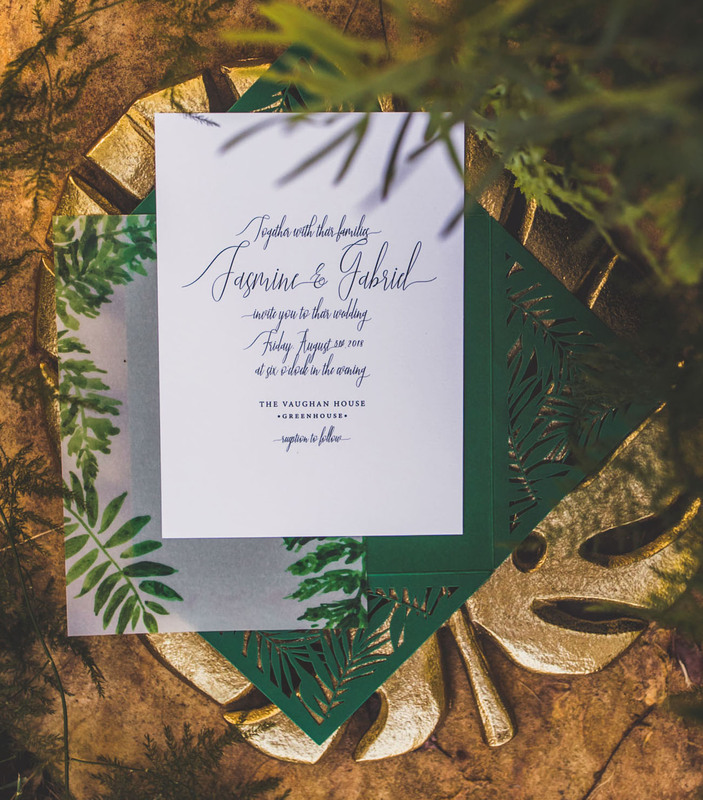 What better way to set the mood for a greenhouse wedding than with this greenery-inspired invitation suite from A Paper Wedding? HOLY SMOKES. 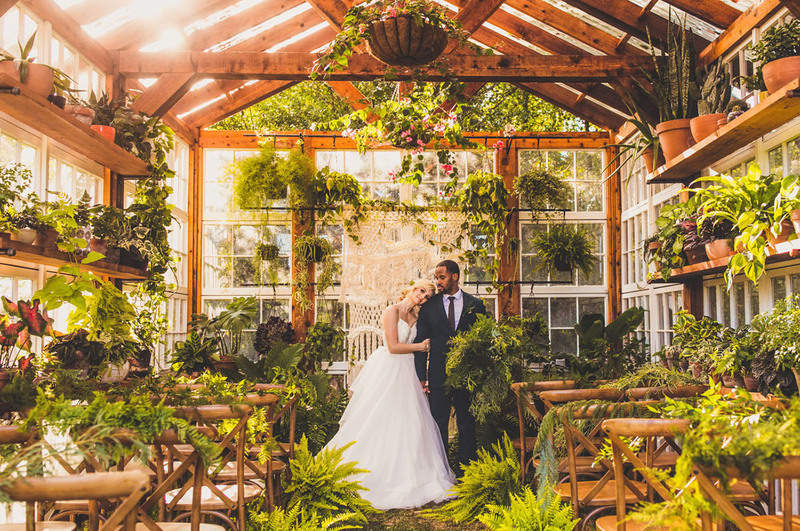 Okay, so greenhouses are already enchanting, but this one is DECKED OUT! 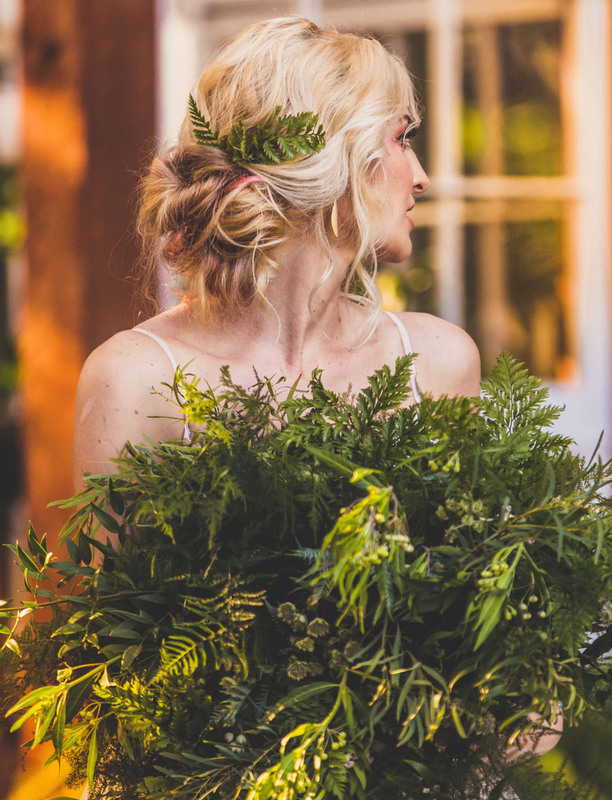 Foraged & Cut went wild with the ferns and we’re A-OKAY with it! 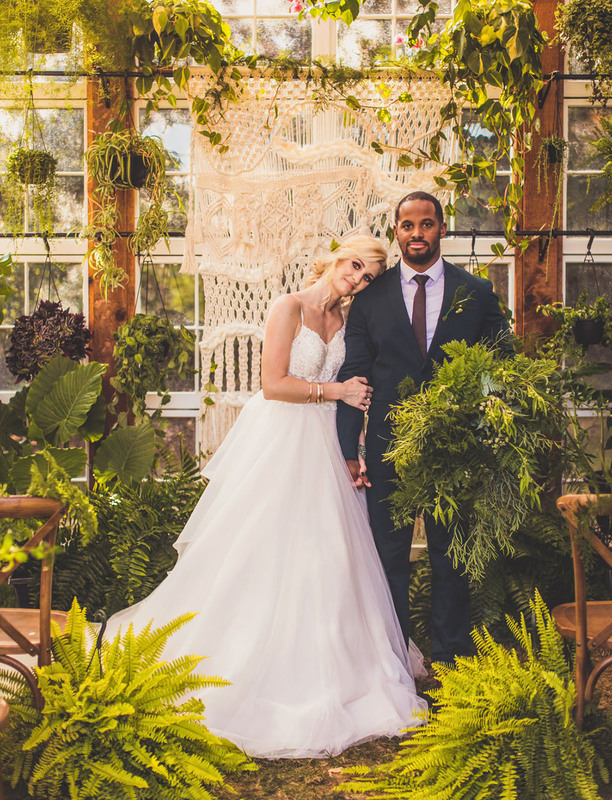 Plus the macramé backdrop—does it get any better than that? That’s the handiwork of Rashael Jones. 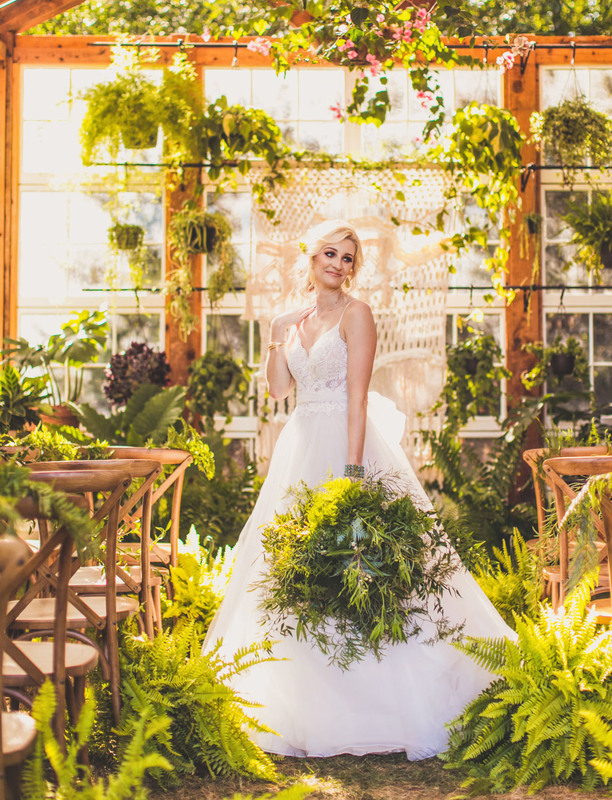 For the shoot, Megan wanted to complement the greenhouse itself, still respecting the space and what it was originally built for, but still use it as a wedding space. 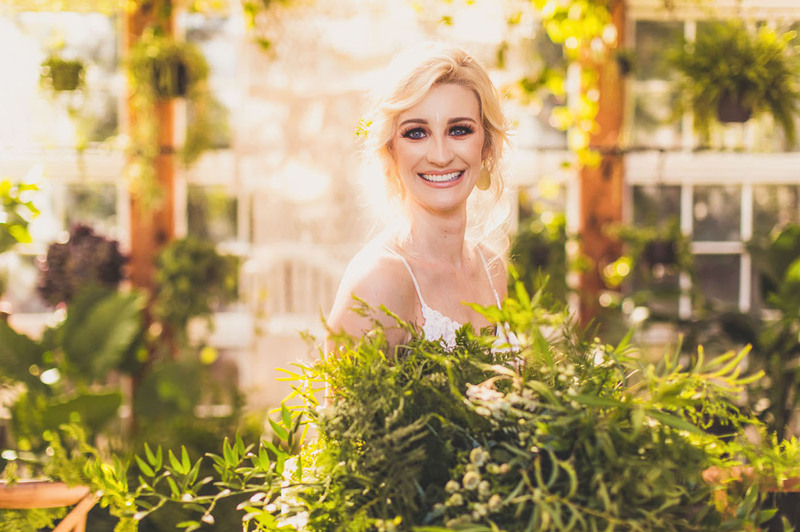 All the plants seen in the images are her own personal plants…nothing extra was brought in! That’s right—all those plants are in there ALL THE TIME. Heck yes!! 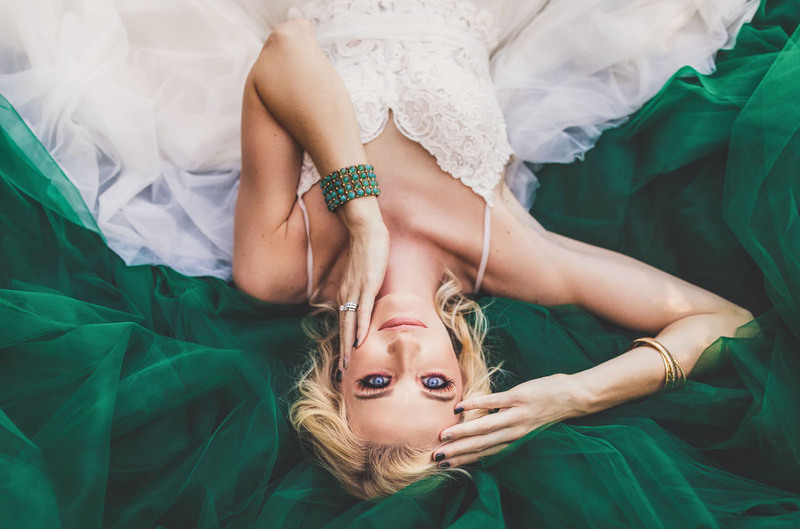 When it came to the glam up-do and makeup, Jessica Comiskey and Laci Fore added some serious drama to the bride’s natural beauty. 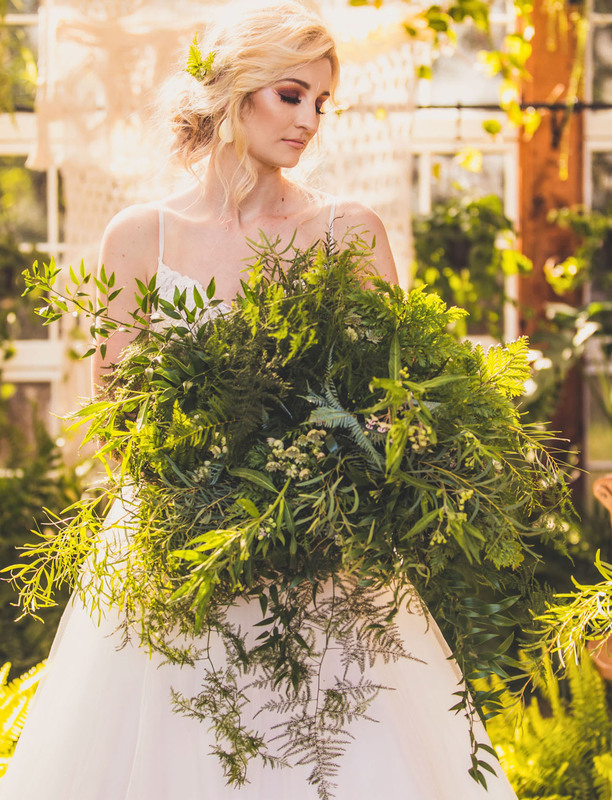 And, when you’re getting married in a greenhouse, what else would you have in a bouquet…but greenery?! 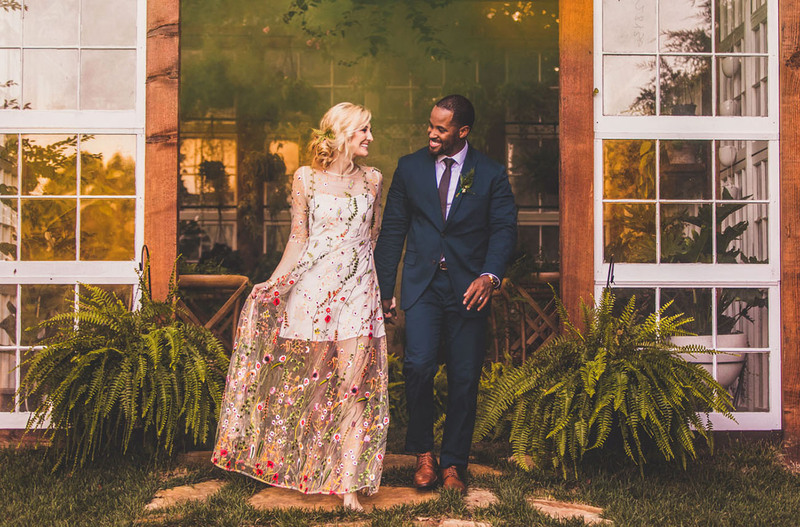 Isn’t that floral dress perfect for this setting?! 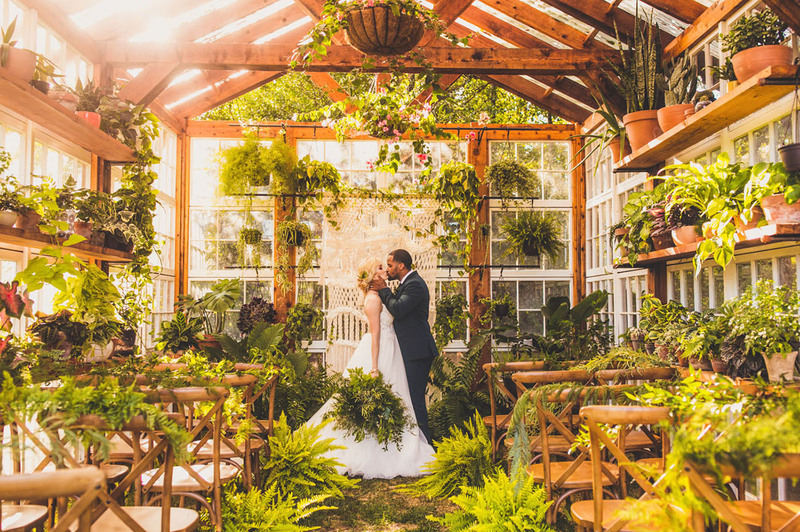 Love the idea of getting married in a greenhouse? So do we!! This is absolutely stunning. Loving how simple. It yet elegant and fun it is. This was so beautiful. 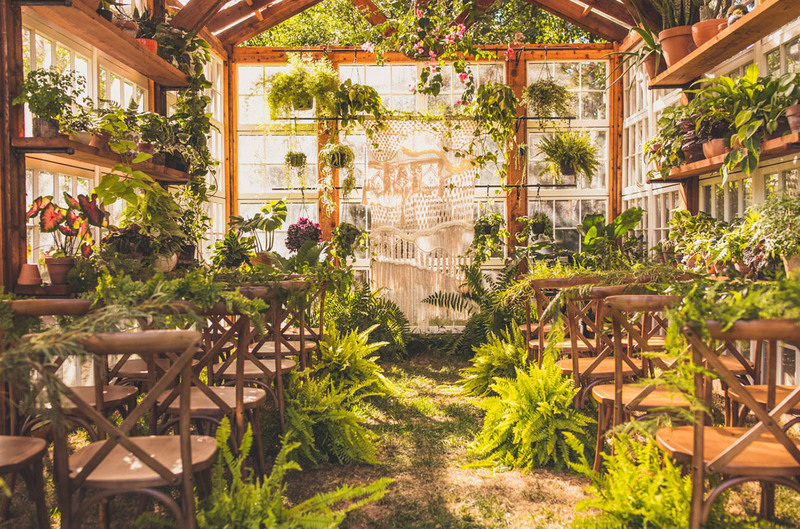 I can’t believe they built the greenhouse. How special!